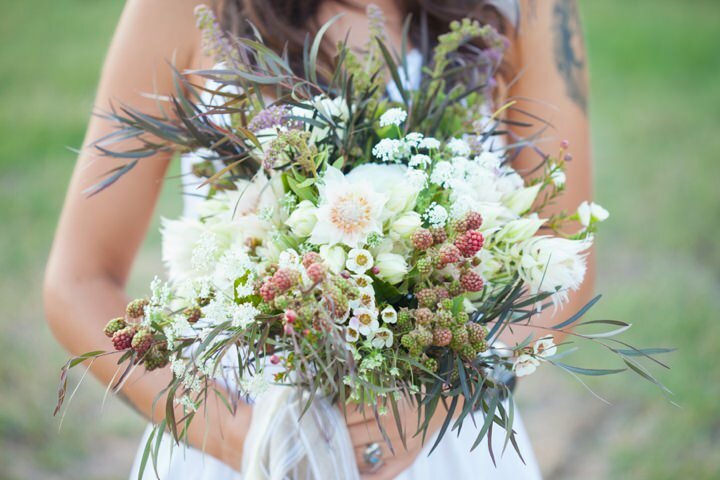 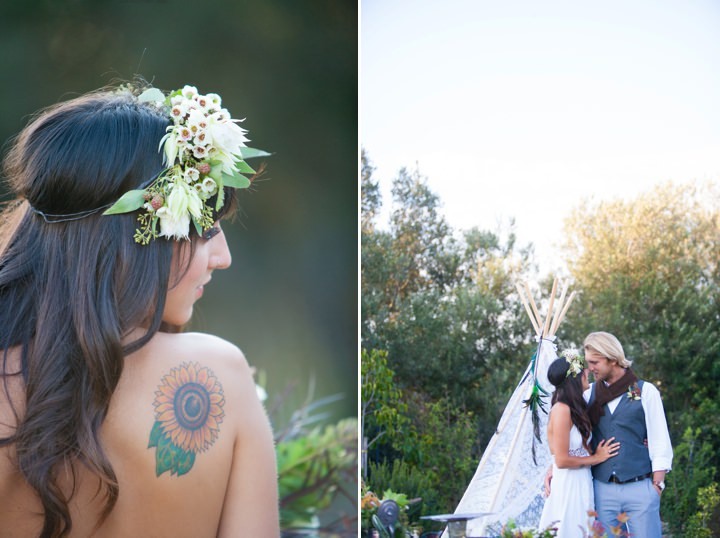 This afternoon we have another gorgeous styled shoot for and today it’s all about Bohemian wedding ideas, what could be more perfect for the Boho Blog! 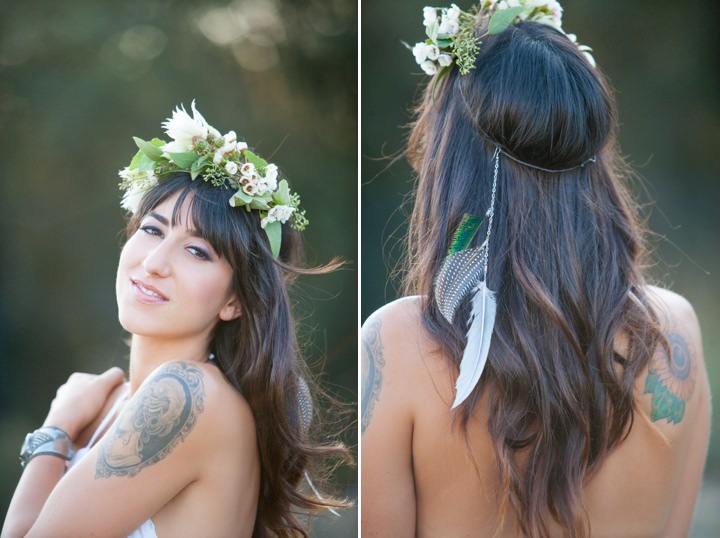 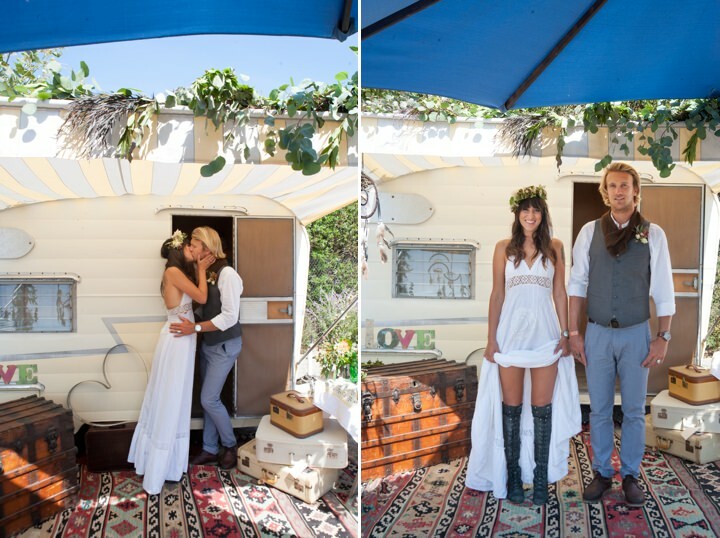 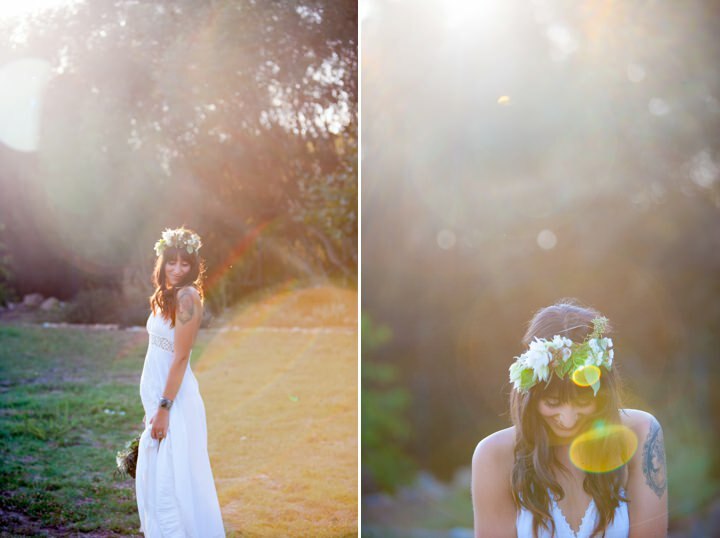 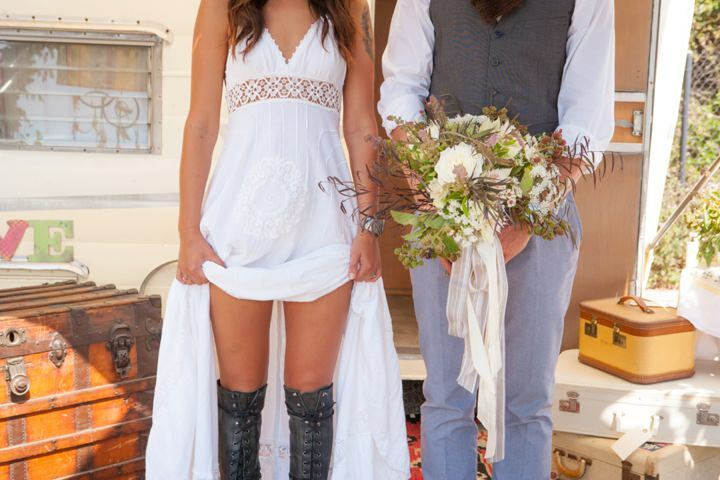 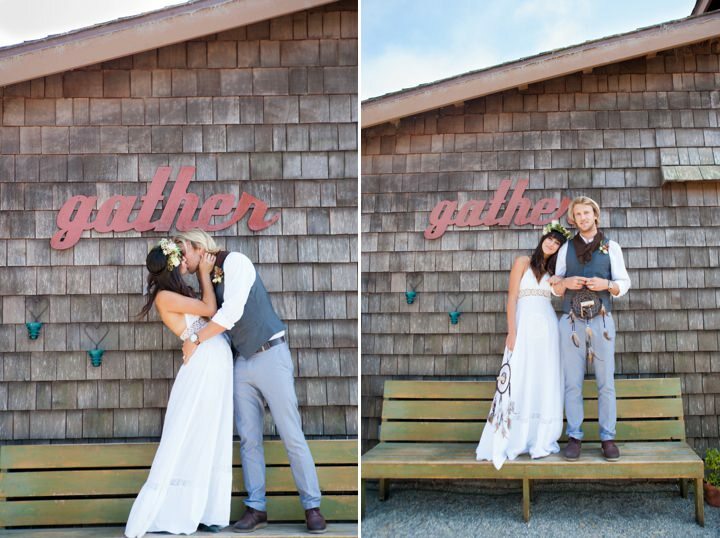 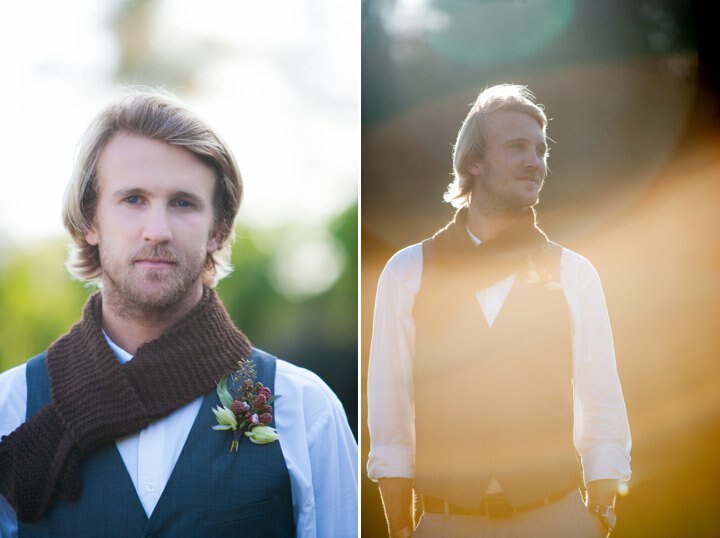 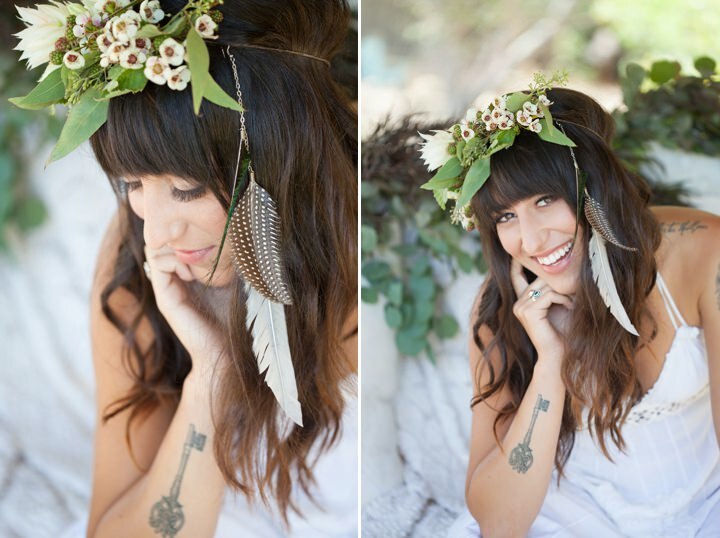 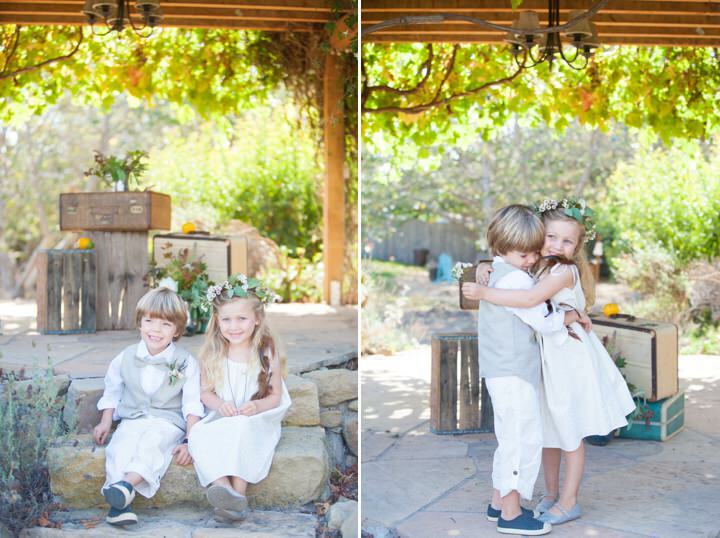 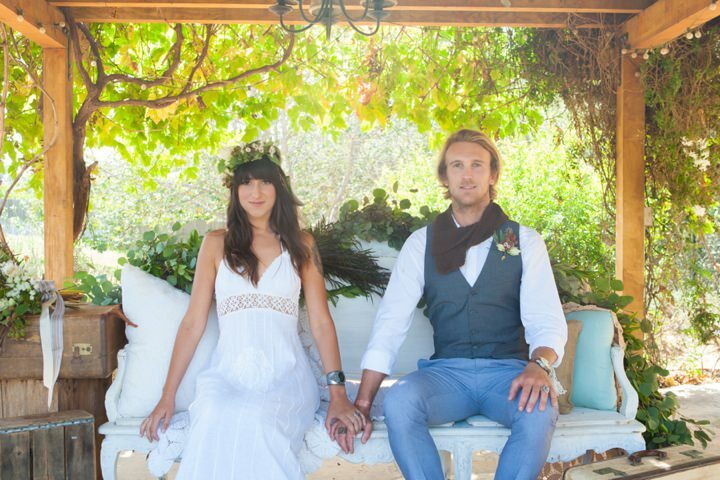 I love this shoot sent into us by Joni Lynn that took place at Milk & Honey Farm in California, it’s full of love, fun and some wonderful ideas for your own Bohemian wedding. 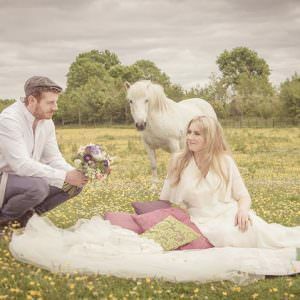 The styling is fab, so relaxed and carefree, the couple ar gorgeous and the overall feel to the shoot is relaxed and chilled and the idea are easily accessible. 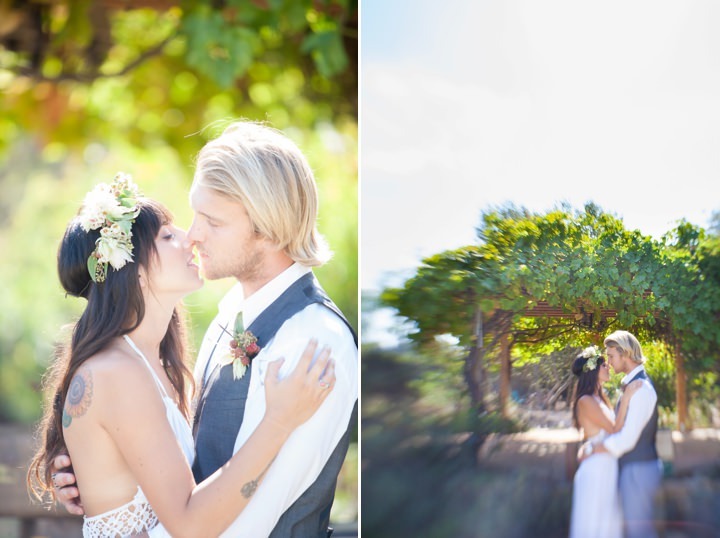 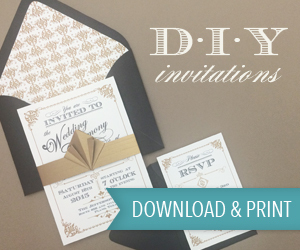 Some couples love the simplicity of an organic setting as much as they adore each other. 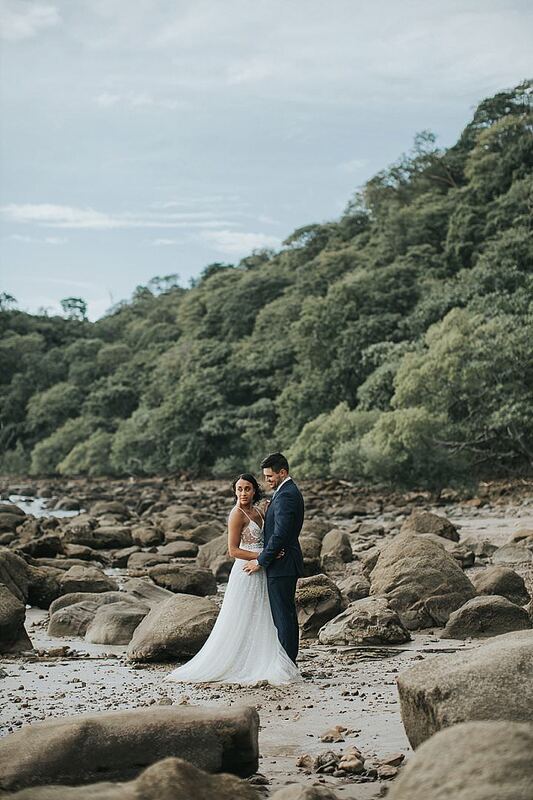 For those couples, a natural lush setting serves as the perfect marital sanctuary to begin their newly invested lives with each other. 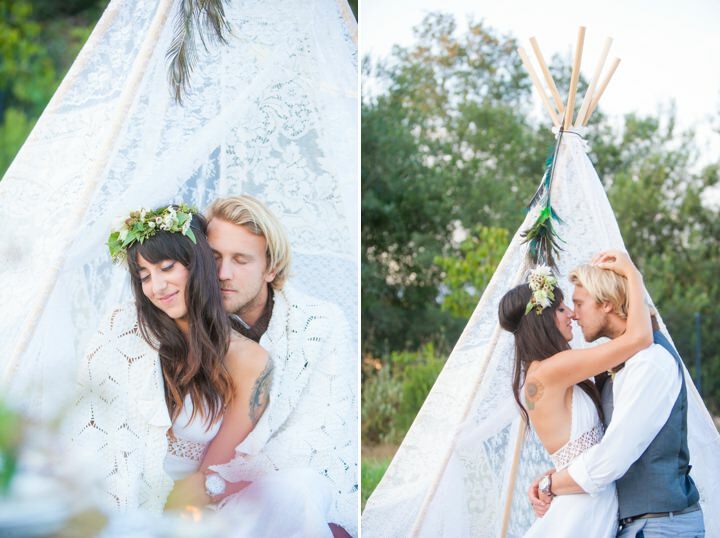 The whimsical quality of nature was not lost in this shoot as we wanted to embody the power of comfort by using personal mix and match ceremony seating, table settings and other rare decor. 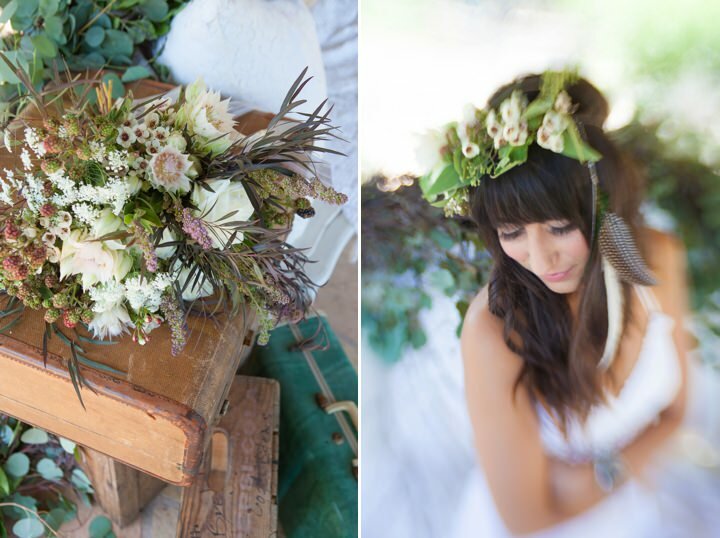 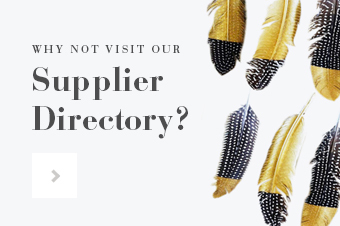 Brining treasured belongings from the brides Native american background . 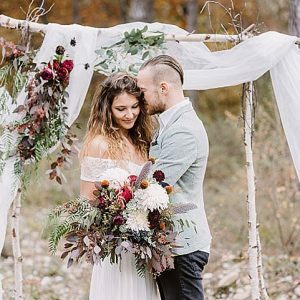 The goal of this shoot was to create a feeling of home for this wild and free couple to feel at peace within each other and nature. 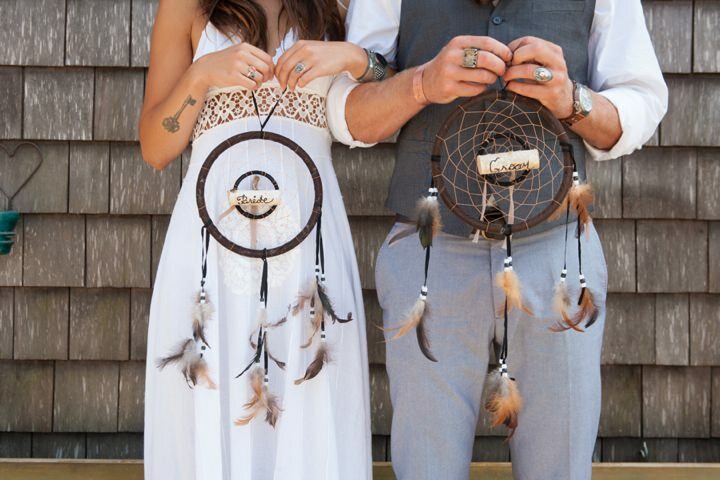 We mixed unexpected elements together such as dreamcatchers, feathers and vintage keys that matched the bride and grooms personal style and tattoos. 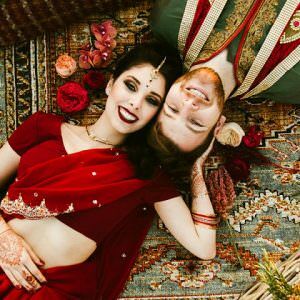 By layering luscious vintage rugs, lace and family adornments in a variety of ways we were able to capture a cozy bohemian vibe. 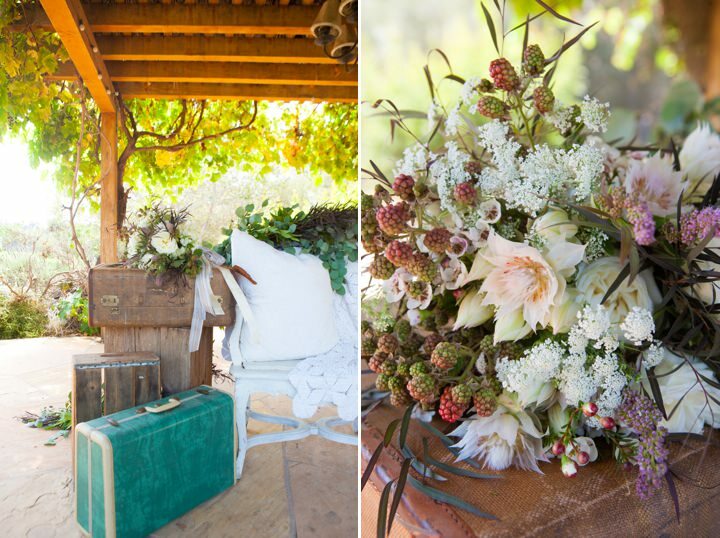 The beautiful florals constructed by Ella and Louie were a combination of berries and other exotic flowers that were naturally placed in every nook and cranny… even in a vintage tea pot! 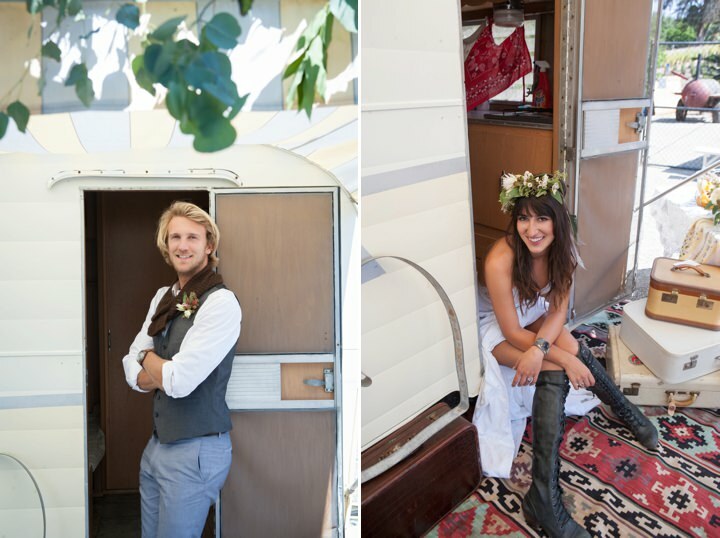 A long full garland was placed on the bride and grooms honeymoon trailer created a partnership of nature and metal. 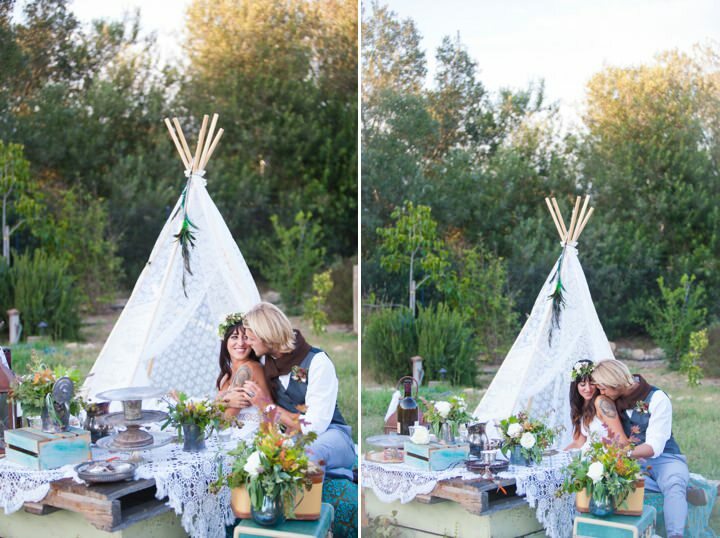 We tried to utilize the surroundings and materials as much as we could at Milk and Honey Farm. 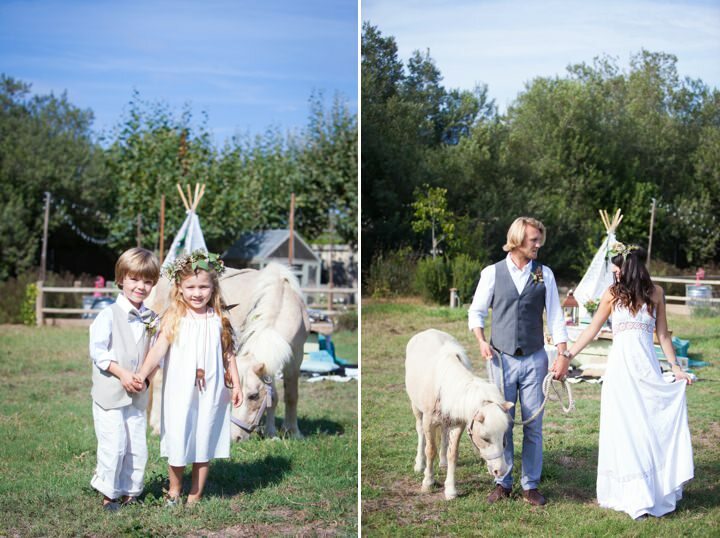 This included the use of a beautiful model with a blonde mane of hair… a mini horse! 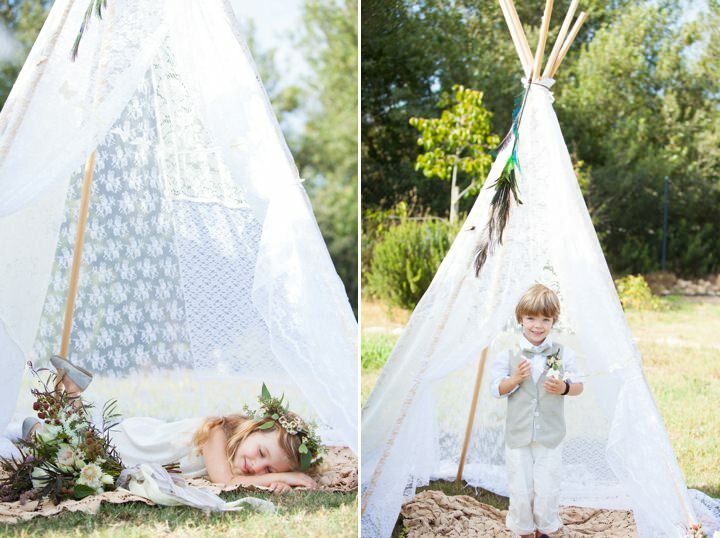 Our miniature bride and groom had a great time playing their characters with the horse and in the beautiful lace teepee. 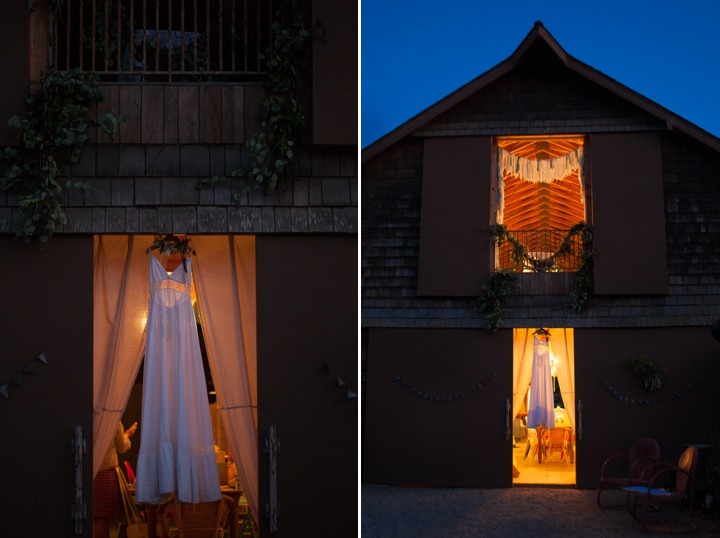 Standing effortlessly tall next to the horse stable was a large barn with a large second story window that overlooked the whole ceremony site. 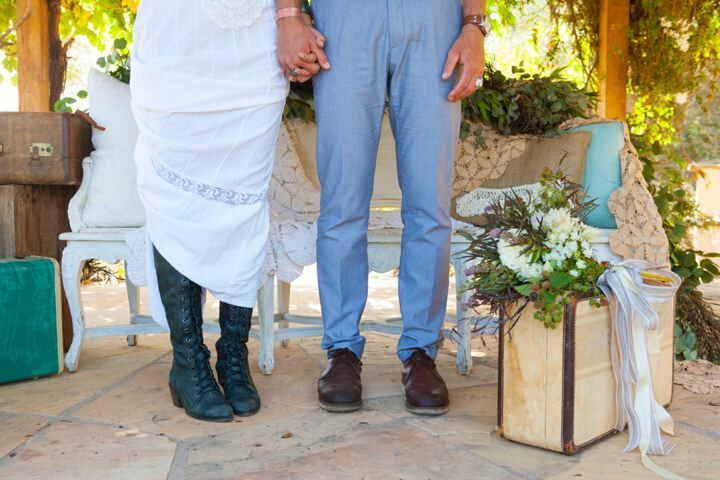 This became the perfect setting for the cake cutting ceremony to take place. 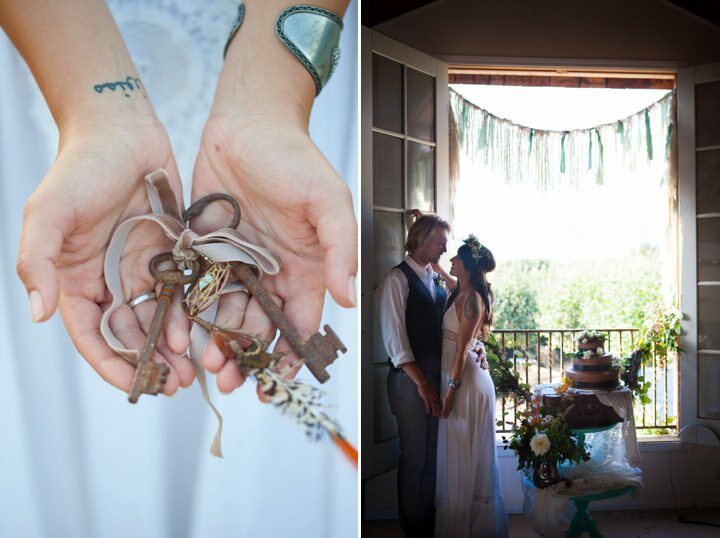 As the bride and groom glance at their guests below they symbolically slice into their new life as husband and wife.